Thank you for the communication diaries, they are great, I can't wait to order from you in future - I have a few things in mind already! We were very pleased with the resources we ordered and will definitely order products in the future. The items arrived really quickly. Nursery Resources have created some fantastic products. The resources are professional and easy to use. Great designs which are helpful, time saving and a great price too. I am recommending them to all my teaching colleagues. We have started to use a variety of resources from Nursery Resources as they are easy to read, neat and reasonably priced. Thank you Nursery Resources for your professionalism. 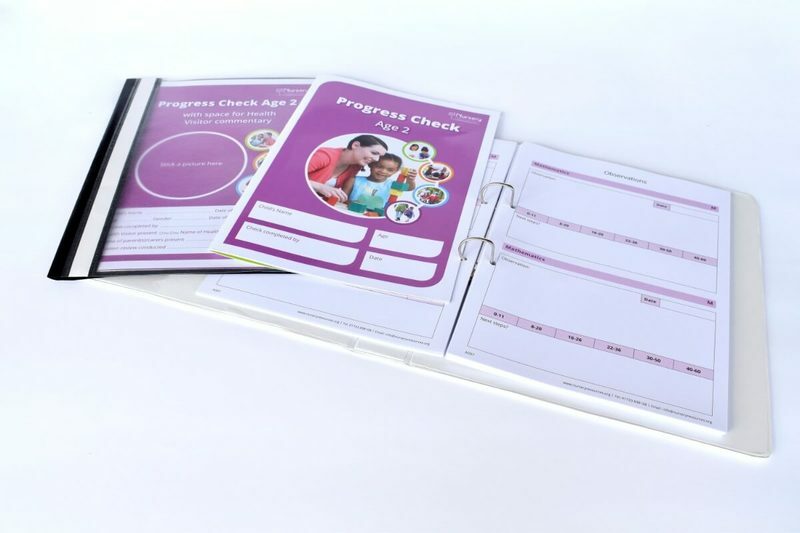 Nursery Resources are our one-stop shop for all of our nursery documentation needs for parent communication; the diaries always give us that peace of mind that we always have happy and well-informed parents. We also use home records and accident records, which are so easy to use, the layout is simple to follow. We cannot recommend Nursery Resources enough and nor can our accountant as the prices are just fabulous too! I love these books and so do my parents...I will definitely be back to order some more and especially as you said I can make them more personal, that is great. Look forward to buying again as your resources are easy to use and great value. The price was excellent considering they were printed to our requirements, and delivery was made really quickly too. I will definitely be ordering again! I was so happy that I posted on a Facebook page to tell other childminders how good your products are and I have lots of people asking where they are from, so...expect to get many orders very soon! All the feedback I have had from parents has been fantastic. I will be looking to order some more after the summer holidays! I would like to say how delighted I am with the products you offer. I am an Outstanding graded childminder and your products compliment my grading and make me look very professional. I have since told other childminders about your service and they too have started to use your products. The resources you produce are fab. I am very happy with them all - thank you. Just wanted to say thank you. We have been purchasing your products for our new nursery since it opened last year and couldn't do it without you! Your customer service is very efficient and the products are posted out straight away. Thank you so much! The Communication Diaries have been a welcome addition. The staff prefer these as they are able to communicate more concisely about the child's day and find it useful when writing ideas to promote home learning opportunities. We will continue to use these resources and would highly recommend them. I receive your email updates regularly and I just wanted to say a heartfelt thank you for your wonderful alerts and support. I find your service an asset to myself and my Nursery and highly informative of current trends. I look forward to your alerts and have informed my Early Years Advisor of your service and how it is of benefit to my setting. Thank you for your support! I forgot to order something, so got onto chat to ask if it could be added to the current order. And spoke to a lovely staff member called Rosie. Had a great experience chatting to her, she was very professional and sorted me out with what I need and more! We have ordered lots of various resources from you and have always been thoroughly impressed. The service is always polite and the delivery is always timely. We will continue to use you in the future. I find these invaluable! Help me to communicate with parents. I have not long come across your page, but I have found it a great help and support for both myself and my team. I love the free resources!!! I think the British values poster is great. Easy to use the website - love the products. Love the carbon copy forms, good prices! Nursery Reesources have made my paperwork a pleasure to do. Love all the products. Products are very good. Service and delivery efficient and fast - 5 stars! Love it! I use you to keep me up-to-date, so quick and easy to use. The resources are well set out and easy to use. The service is quick and the staff are always helpful. All products are great quality and are used within the nursery from 8 weeks to 5 years. Service is excellent when ordering and receiving products. Excellent! I am happy with all of my products, looks nice and they are easy to follow and use. I love the big school skills books, as do the children! It is also a fun way to prepare them for school and a nice keepsake. Orders always arrive quickly, smart presentation, personalised with our logo. Easy to use and parents just love them! I love the communication diaries. I have been using them for over a year and they work really well for me in my 'outstanding' setting, thankyou. Having achieved outstanding in all 7 areas, and understand we had to work to achieve this, and continue to improve our services. I have used your resources and I am sure this helped us with the grading we have achieved. Thank you for staying on top of all the documentation and helping us with paper work that we would find hard to generate.